We have discussed this notorious problem before: numerous charities (such as one that treats HIV and malaria with homeopathy in Botswana, or the one claiming that homeopathy can reverse cancer) are a clear danger to public health. I have previously chosen the example of ‘YES TO LIFE’ and explained that they promote unproven and disproven alternative therapies as cures for cancer (and if you want to get really sickened, look who act as their supporters and advisors). It is clear to me that such behaviour can hasten the death of many vulnerable patients. Yet, many such charities get tax and reputational benefits by being registered charities in the UK. The question is CAN THIS SITUATION BE JUSTIFIED? I am sure that most readers of this blog have something to say about these questions. So, please carefully study the full document, go on the commission’s website, and email your response to: legalcharitablestatus@charitycommission.gsi.gov.uk . Don’t delay it; do it now! It has been reported in most newspapers that Prince Charles has proposed a solution to the problem of antibiotic over-use in animals and humans. He told an international gathering of scientists and government officials in London that he treats his own cows and sheep with homeopathy. Many people reacted with dismay. I, however, plead for more understanding of this thoroughly good-willed man. In fact, I intend to go one step further. We have often heard that he is a considerate and caring man. We ought to give him the benefit of the doubt. I have tried therefore to empathise with his situation, put myself into his shoes and repeat the considerations that made him say what he said. My empathy went so far that I tried to re-live and formulate his thoughts in the first person singular (or should I have used the ‘Royal We’?). The result is the following little monologue where I categorised the considerations under 7 headings. I wonder why they invited me to give a speech. True, I am a farmer at heart and I know all about husbandry, but I have no real expertise in the field of antibiotics. Perhaps it is an occasion to tell them a bit about homeopathy. Yes, that subject would surely fascinate the audience! They tell me that the conference will be packed with very bright people. That sort of thing always makes me a bit self-conscious. Perhaps I should decline the invitation after all? Sometimes, I have the impression that people make fun at me. No, I must not think like that – after all, I have had a very expensive education too, and I know my stuff. Homeopathy is such a wonderful subject. I must try to win them over and make them appreciate its beauty. These experts should realize that homeopathy is the future. I have heard rumours that some blinkered scientists doubt that homeopathy works. But my advisors tell me that it is best to ignore this sort of thing. And my advisors know their stuff even better than I. This conference is going to have a very high impact. The press will be there. It will be reported across the world. 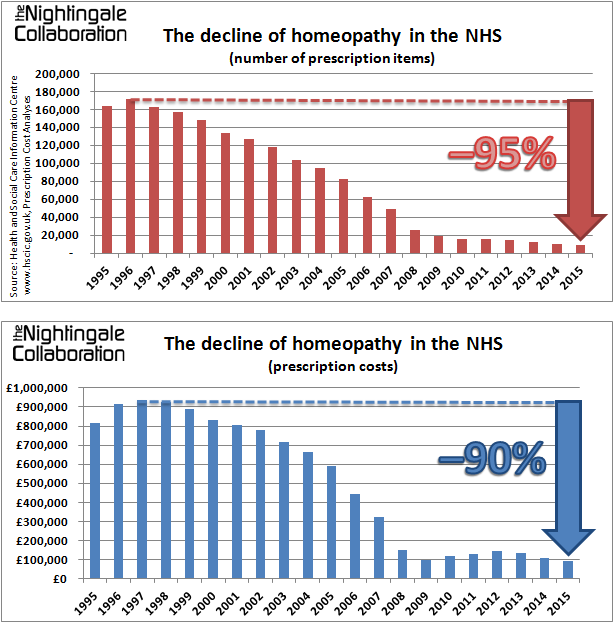 And government’s chief medical officer, Dame Sally Davies (why can we not have more holistic doctors in position like these; I must remember to discuss this with Michael Dixon asap); she once called homeopathy ‘rubbish’ – enough to throw her in the Tower! Mustn’t think like that! On the contrary, I will make sure they all get the message. I will bowl them over! The press will surely be on my side. This will be a victory for homeopathy. Mother might be upset; she does not like me to stick my neck out like that…goes on about constitutional role and such trivia…she thinks we should not put our nose into things that are none of our business. And the Royal PR team will not like it either. They do what they can to distract from the image of ‘THE MEDDLING PRINCE’ might think that my speech is a hindrance to their efforts. I better don’t tell anyone in advance about this, they might try to stop me. But now I feel quite unstoppable. This is what I will tell them about homeopathy: “It was one of the reasons I converted my farming operation to an organic – or agro-ecological – system over 30 years ago and why we have been successfully using homeopathic – yes, homeopathic – treatments for my cattle and sheep as part of a programme to reduce the use of antibiotics.” I think this will convince everyone. Who needs science when there is powerful rhetoric like this? What if it does not go well? They will not dare to contradict me, I am the future King, for heaven’s sake! Even if they disagree, they will not show it. They just don’t have the guts. And anyway, I will not take questions, I never do enter into any debate on homeopathy. It is simply too tedious to argue with people who do not understand the issues involved. *In case you are a lawyer hired by HRH to check out this post: it is pure satire through and through, there is not a factual sentence here; if you want to sue me, please find another reason. A nice way to conclude this year’s ‘homeopathy awareness week’, I think, is to review some of the more important homeopathy-related events from across the world that have been reported (on this blog) in the past 12 months. On January 30, a group of experts from all walks of life met in Freiburg to discuss ways of informing the public responsibly and countering the plethora of misinformation that Germans are regularly exposed to on the subject of homeopathy. They founded the ‘Information Network Homeopathy‘ and decided on a range of actions. Earlier that month, the Nobel laureate Venkatraman Ramakrishnan called homeopathy ‘bogus’. “They (homeopaths) take arsenic compounds and dilute it to such an extent that just a molecule is left. It will not make any effect on you. Your tap water has more arsenic. No one in chemistry believes in homeopathy. It works because of placebo effect,” he was quoted saying. We have confirmed that Dana Ulman (the ‘spokesman’ for homeopathy in the US) fails to understand science or medicine. He excels in producing one fallacy after the next. If he were on a mission to give homeopathy a bad name, he would be doing a sterling job! I identified Prof Frass as one of the most magical of all homeopathy researchers: he never fails to produce a positive result with his placebos. In an interview, Christian Boiron, the general manager of the world’s largest producer of homeopathics, carried the debate about homeopathy to a new level of stupidity. He pointed out that “Il y a un Ku Klux Klan contre l’homéopathie” My translation: THERE IS A KU KLUX KLAN AGAINST HOMEOPATHY. The Hungarian Academy of Sciences statement proposing the same scientific standards for homeopathic drug registration as for normal drugs Members of the Section of Medical Sciences of the Hungarian Academy of Sciences (HAS) voted unanimously on 9 November 2015 for supporting the earlier proposal of the Royal Swedish Academy of Sciences. The Swedish statement requested that the homeopathic remedies should go through the same efficacy trials as normal drugs should. The US Federal Trade Commission (FTC) announced that they are considering whether advertisements for homeopathic products have any evidence to back the numerous claims that are being made for them. A meeting took place on 21 September, and the first details have emerged. The first International Conference on Homeoprophylaxis announce its guest speaker: ex-doctor Andrew Wakefield. NO, ONE CANNOT SAY THAT IT WAS A GOOD YEAR FOR HOMEOPATHY – BUT, PLEASE, LET THAT NOT SPOIL YOUR CELEBRATORY MOOD. Non-validated diagnostic methods, like those in abundant use in alternative medicine, run an unacceptably high risk of producing false positive or false negative diagnoses. The former would be a diagnosis that the patient is, in fact, not suffering from; this enables the charlatan to get rich on treating something that is not even there. The latter would be missing an illness that might even kill the patient. Thus both scenarios are unquestionably harmful. The prevalence of complementary medicine in most industrialised countries is impressive and increasing. Discussions of the topic often focus on therapeutic approaches and neglect diagnostic methods specific for complementary medicine. The paper summarises the data available on such “alternative” diagnostics. Scientific evaluations of these are scant, and most techniques have never been properly validated. The ones that have can be demonstrated to be not reproducible, sensitive, or specific. The ones that have not should be regarded as such until shown otherwise by rigorous testing. Therefore it seems that “alternative” diagnostic methods may seriously threaten the safety and health of patients submitted to them. Orthodox doctors should be aware of the problem and inform their patients accordingly. I have also learn from leading experts how we can understand a great deal about the causes of ill health through more traditional methods of diagnosis – for example, through examination of the iris, ears, tongue, feet and pulse, very much the basis of the Indian Ayurvedic system. This is not to say that modern diagnostic techniques do not have a role, but let us not forget what we can gain by using the knowledge and wisdom accumulated over thousands of years by pioneers who did not have access to today’s technology. In fact, an over-reliance can often mean that the subtle signs of imbalance revealed by the examination of the eyes, pulse and tongue are totally missed. Including the fruits of such knowledge, gleaned over 8 000 years of studying the relationship of the human body to the rest of Nature and to the Universe, can but only provide an extra, valuable resource to doctors as they seek to make a full diagnosis. Why persist in denying the immense value of such accumulated wisdom when it can tell us so much about the whole person – mind, body and spirit? Employing the best of the ancient and modern in a truly integrated way is another example of harmony and balance at work. Charles is talking here about iridology, amongst other methods. Iridologists try to diagnose disease or susceptibility to disease by analysing the colour pattern of a patient’s iris. It happens to be a technique that has repeatedly been put to the test. In 1999, I published a systematic review of the evidence and concluded that the validity of iridology as a diagnostic tool is not supported by scientific evaluations. Patients and therapists should be discouraged from using this method. Given that the evidence for alternative diagnostic techniques is either negative or absent, why does the heir to the throne advocate using them? Does he not know that he has considerable influence and endangers the health of those who believe him? Why does he call this nonsense valuable? The answer probably is that he does not know better. There is nothing wrong with Charles’ ignorance, of course. He is not a medic (if he were, his quackery might get him struck off the register!) and does not need to know such things! But, if he is ignorant about certain technicalities, should he write about them? At the very least, when giving such concrete medical advice about diagnostic methods, should he not recruit the expertise of people who do know about such matters? In Charles’ defence, I should mention that apparently he did ask several physicians for help with his book. Two of those who he acknowledged in HARMONY have been mentioned on this blog before: Mosaraf Ali and Michael Dixon. I MIGHT BE MISTAKEN, BUT IT SEEMS TO ME THAT CHARLES IS NOT JUST IGNORANT ABOUT MEDICINE BUT ALSO ABOUT THE ART OF CHOOSING EXPERTS.